Keep the items you reach for most right at your finger tips. 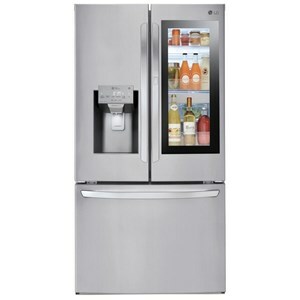 The Door-in-Door™ allows you to access the in-door compartment without having to open the entire refrigerator. 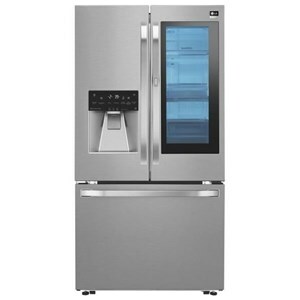 This gives you quick access to the things you want and can reduce cold air loss by up to 47% which helps keeps food fresh and reduces energy consumption. 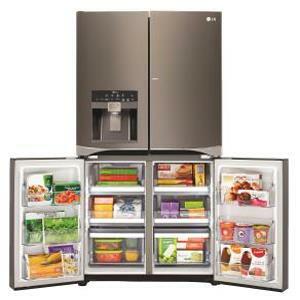 The swing door freezer is great for anyone who stores a lot of different items in the freezer. 6 independent storage compartments and 6 door bins provide plenty of storage flexibility. 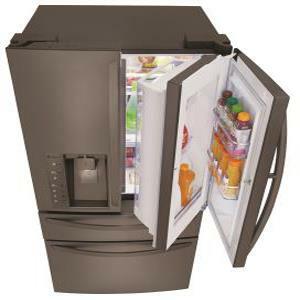 No longer are you limited to a slide out drawer or one large freezer compartment. 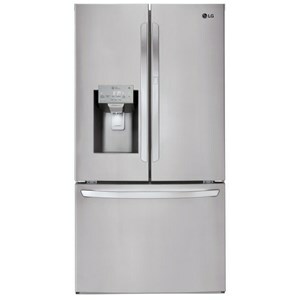 The French Door Refrigerators 4 Door Refrigerator with Door-in-Door™ by LG Appliances at Furniture and ApplianceMart in the Stevens Point, Rhinelander, Wausau, Green Bay, Wisconsin Rapids, Marshfield, East and West Madison, Wisconsin area. Product availability may vary. Contact us for the most current availability on this product. 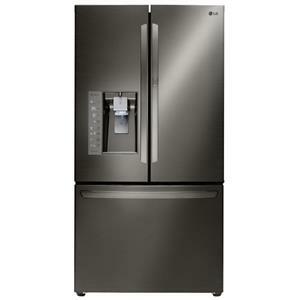 Capacity: Refrigerator 16.8 Cu. 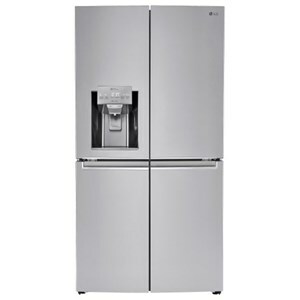 Ft.
Capacity: Freezer 13 Cu. Ft.
Capacity: Total 29.8 Cu. 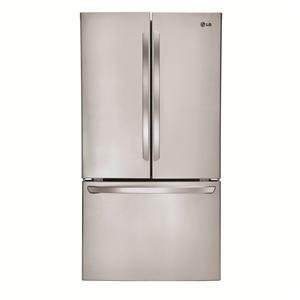 Ft.
LG's line-up of french door refrigerators will provide you with all of your storage needs thanks to LG's relentless pursuit of innovation. 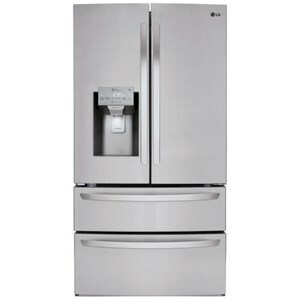 These refrigerators come in a wide variety of sizes and with a host of useful features that ensures your food with be fresh when you need it. 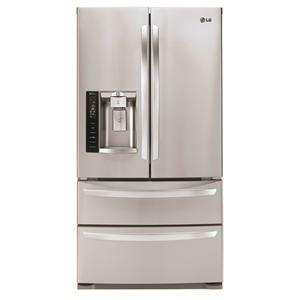 Get going on your next great meal thanks to the storage capabilities of these attractive and innovative french door refrigerators today.